Located on the lower level of the Campanella & Pearah Eyecare building, is the JS Medspa. With Dr. Campanella as the Medical Director, JS Medspa is operated by Julie Stubler, a licensed Esthetician, and former instructor of Esthetics at the Lancaster School of Cosmetology. The medspa offers the latest in skin care treatments, laser hair removal, facials, medical grade chemical peels, as well as procedures performed by Dr. Campanella, including Botox Cosmetic & Juvederm injectable filler treatments. 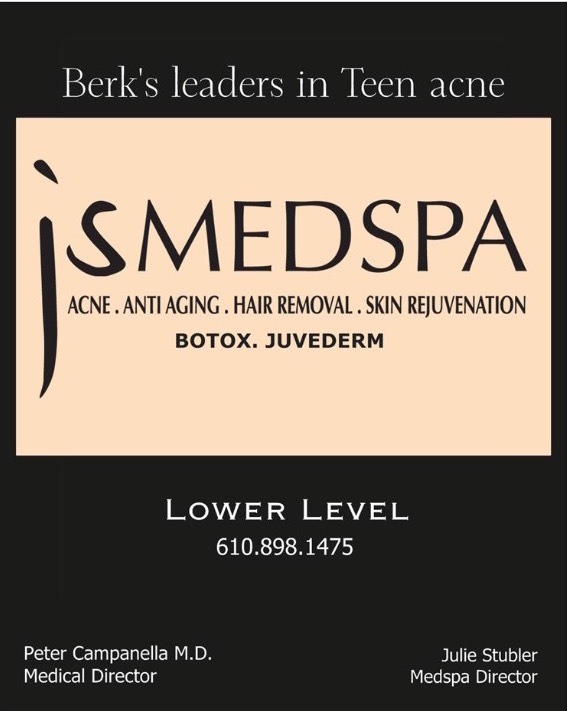 Along with carrying the highest quality in skin care products, JS Medspa can help you look and feel your best and present your “best face” to the public! Click here to visit the JS Medispa website and schedule your first consultation today. You’ll be glad you did!